I recently returned from a trip to Europe visiting Paris, Stuttgart, Munich, Venice, and Milan. I apologize for my extended hiatus – which was primarily due to the trip but also because of some personal matters. Readers that have heard of my visit to Europe have asked me to post a travel guide of places I've visited but I think I’ll have to pass this time. The primary reason is that I don’t think I’ve spent enough time in the cities I've visited to form a solid enough list of recommendations. The secondary reason is that I’ve been sent a few things to review, and these requests will have to take priority. Nevertheless, I know that many readers are fans of cars like myself, so I thought I should at minimum share some of my photos from the Porsche and Mercedes-Benz Museums. Enjoy. 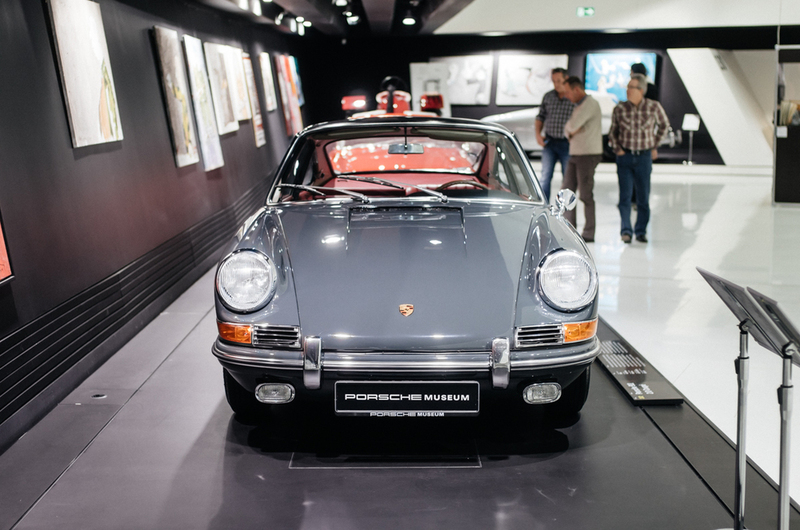 The entire reason for visiting Stuttgart was to visit the Porsche Museum. Porsche best exemplifies good design values, and has an opinionated approach that I appreciate. I see them as a car company with an unbeatable lineup of vehicles that was achieved through an approach that's not unlike Apple. The Museum is designed by Delugan Meissl and located near the company’s headquarters. If you're simply a fan of design, this one is worth a visit even if you don't care much about cars. The museum is executed meticulously, and tells a brilliant story using great graphic design and installations. The exhibition space was designed by HG Merz and features a layout that is as concise and logical as the brand itself. The Museum is structured using a chronological timeline of the company’s cars in a linear manner. As you move through the company’s history, you begin to understand the values that structure the backbone of the brand, like the concept of consistency and lightness. I’m a fan of ordered, linear exhibitions and the round tour is the perfect example of a well conceived one. Simplicity, and the idea of rational evolution are probably the strongest traits of Porsche as a brand. This is what really strikes you move through the Porsche museum. Every car that Ferdinand Porsche has worked on, like the 1939 Type 64 seems to point in the inevitable direction of today’s 911. There are very few products and even less brands that can really demonstrate this level of purity in vision. Even someone that knows nothing about Porsche can see the clear lineage here, and that's a powerful thing. Visually, the 1962 Porsche 804 F1 car was one of the highlights in the museum for me due to it’s simple elegance. This was a bit of a controversial project at the time because the questionable marketability of technology developed through F1 on road cars. It’s no surprise that Porsche withdrew from F1 at the end of the season. Regardless of it’s short history, the tiny, mid mounted, air-cooled boxer 8-cylinder machine would be an amazing thing to play with. I was also drawn to the Porsche 908 KH and the 904 which sat in the same room as the 804. The 908 KH (white) is honestly a bit of a mess but it sits so low and wide that you can’t help but be impressed by it’s charisma. The 904 (silver), also called Carrera GTS, is the real beauty here with its classic form and classic silver paint job. Like every car in this museum, it begins to tell a story of evolution, in this case, it's one that leads to the 917. There’s also some modern Porsche here, and you can easily see a bit of the 918, 919 Hybrid and even Cayman in these cars. When you're a company that can say that you’ve invented the market you compete in, there’s a lot to say. There’s just so much history behind the three-pointed star. Porsche, like the cars they make are simple. They make sports cars that are consistent and rational. Mercedes-Benz is complex. They make everything from the finest luxury sedans to utilitarian trucks. This is how I felt about the Mercedes-Benz museum. 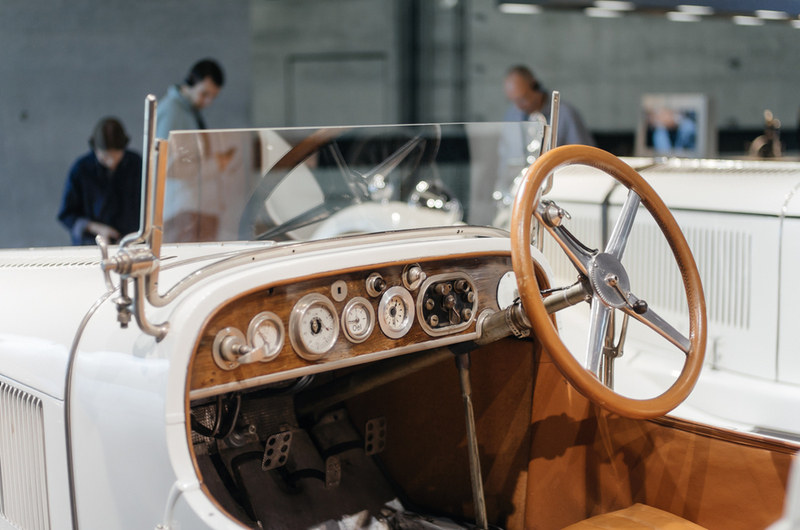 Despite having a relatively linear spiral floor plan like Porsche (even designed by the same designer), the story felt too overwhelming to consume on one visit. It’s a great museum that tells a grand story but be prepared to leave feeling more confused about the brand than ever before. Next door to the Mercedes-Benz Museum is a sales center that features pretty much every vehicle the company currently makes. There are so many cars here that this building in itself is enough to spend an entire afternoon. The highlight for me was without a doubt, the AMG GT. I’m not a big fan of Mercedes’ new heavily surfaced design language but the AMG GT has a strong presence (especially with the noise its 4.9L V8 makes) that I can see distracting 911 buyers. Thanks to the long hood, the side profile is particularly attractive. The journey begins with an ascend in a science fiction looking elevator. Once you get off at the top floor, the first thing on display is a horse, not a car. This is one of the most memorable moments of the museum for me. It’s humbling to think that they’re able to bookend their legacy with the horse and their F 015 concept car. The Legend of Mercedes-Benz starts here with Gottlieb Daimler and Carl Benz, who created the first two autmobiles in 1886 – the Benz Patent Motor Car and the Daimler Motorized Carriage. Both cars have their own benefits, the Patent Motor Car was designed from the ground up, and therefore more modern, which is evident by its isolated, rear mounted engine. The Motorized Carriage on the other hand is architecturally just a modified carriage but features a more advanced engine; the “Grandfather Clock”, which Mecerdes-Benz likes to tout as the “world’s first small high-speed internal combustion engine to run on gasoline”. The Museum is composed of over 160 vehicles but there were two that I was really drawn towards. First is the 1923 10/40 hp Mercedes sports two-seater. The model S, model SSK and 500K are the stars of this era of sporting Mercedes vehicles but I love its compact size and the pairing of saddle leather with white paint. This was the world’s first production car with a supercharged engine and while it only produces 40 hp, it looks like a ton of fun. This is what the SLK should be in spirit. Early Mercedes-Benz racing cars were called “Silver Arrows” by the press and were immensely successful at their time. Auto Union (evolved into what we now know as Audi) was also grouped into the same family and had my favorite car, the Type C. Historically though, the Mercedes-Benz W 25 is the most significant and was the first model to be called a Silver Arrow. The W 25 was originally painted white but when it arrived at Nürburgring for its first race, it was a kilogram over the weight limit. To reduce its weight. the mechanics sanded away its paint, leaving the car bare aluminum. I think the W 25 is the most handsome of the Mercedes-Benz Silver Arrows, thanks to its simple form and prominent grill, which is almost Audi in shape. I've always loved the pairing of aluminum, fabric and leather but now that I know that this was done by accident and in panic, it's even more spectacular.